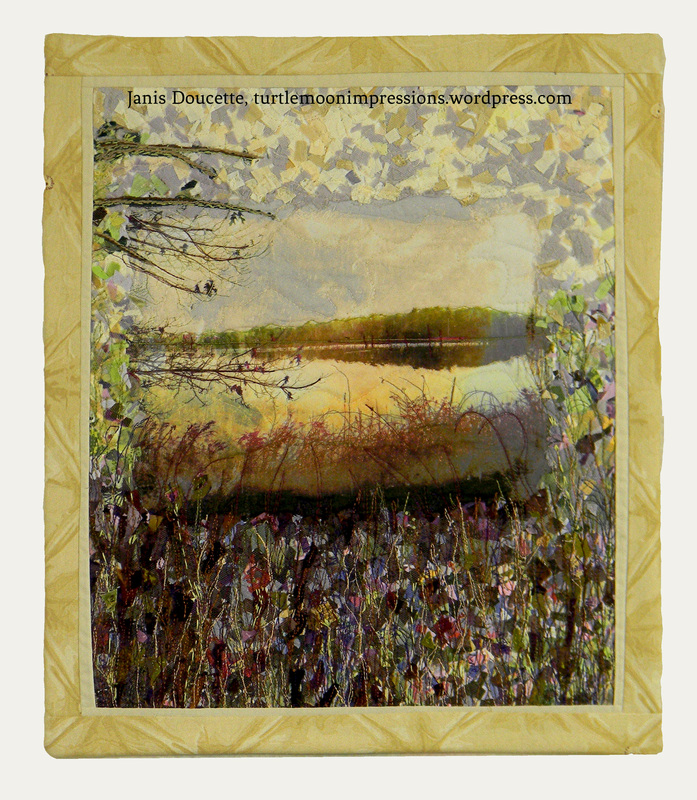 There are so many new ways to use photos in art, fiber art in particular. Recently, I posted a series on my Etsy site that uses my photos in a grid/collage format and can also be seen on the Fire Blog. My explorations for different ways to use my photos in fiber art have taken a few different avenues. You’ve been seeing my posts to the One Four Challenge, a blog challenge that’s a forum for learning, teaching, sharing and showing our photographs in four post process edits. After my last edit for the month of January, I proceeded to transform that image into a piece of fiber art that I just finished and faced. Thanks for coming by! And check out Nina Marie’s Off The Wall Friday! Previous Turtle Moon Etsy Shop Opens! lovely artworks, full of soft colours and gentle calmness! Really nice use of your photo. I have been wanting to try this. Thanks so much! Do try it out. Inspiration is everywhere! Well that’s fantastic Janis – Love the use of textiles and fibers. Wonderful use of your photograph – and end result! Nice effect and I would love to see this in cloth… my quilting background comes back from time to time! Yes, this is one of those pieces that you need to see in person to really “see it.” It looks much better than the pic does and so much of it is the texture that you can’t really feel here. Oh, Janis – so lovely – thank you for sharing this. Thanks! It was the first piece sold at the Melrose Arts Festival.